Come on in — the bathroom is finally done! This bathroom is off of our bonus room — our attic aka “the 3rd floor” which we recently painted, added new lighting and a laminate floor. I’ll share more about that space soon but for now wanted to share the updates we made to the bathroom. This room is so light+bright, thanks to the natural light that floods the space almost all day long. Still, it was a challenge for me to get a picture of the room. For this shot, I crouched awkwardly on the tub and for others, had to straddle the toilet. Like I said — awkward. I don’t know how the pros do it! We painted the whole room white and updated the vanity to this one which I love from the Home Depot. It has lots of storage behind the 2 doors and space below for the basket that I filled with towels. We topped the vanity with this marble top. It has a built-in sink basin which makes it super easy to keep clean — no cracks or crevices for dirt to hide. Win, win! Now to the floor …originally when we first bought our house 13 years ago, I hated the tile — I thought it was too funky, too 70’s, too brown… But now I love it and I’ve been seeing tile just like it everywhere. What goes around, comes around, right? Here’s a picture I shared before that shows the detail better. 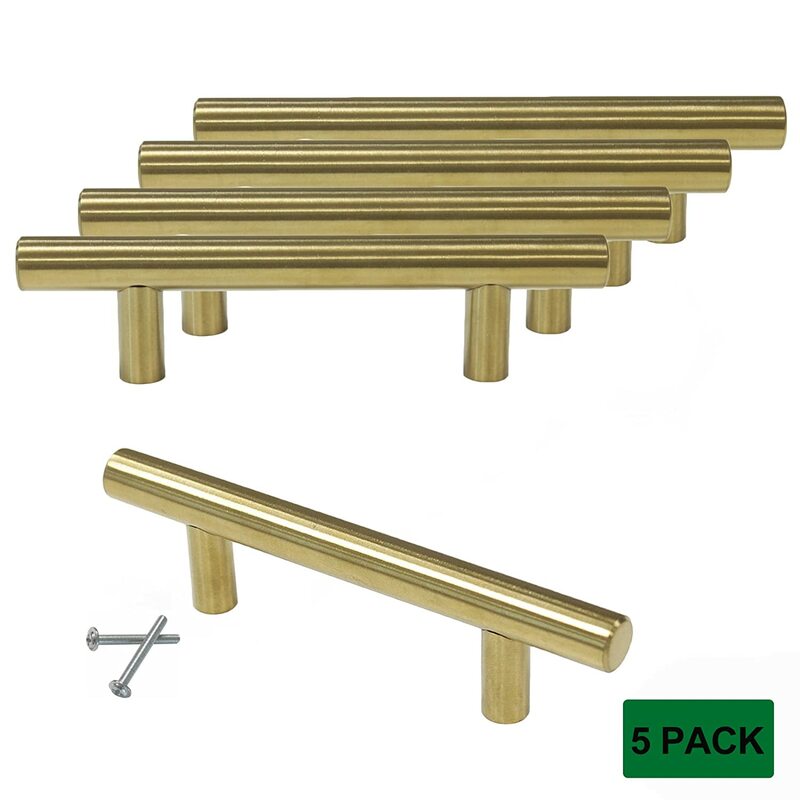 I changed the hardware on the wall of cabinets to these brass pulls that I purchased from Amazon for about $2 per pull. We needed to add a towel rack and used this piece that I found at Brimfield Flea Market. Again, there’s a lot of white in this space so these wood accents — the towel rack, the mirror, the old ladder — all add character plus they’re totally functional! Now for the elephant in the room…the tub! That’s a wrap — my take on a minimal bathroom. Now back to soaking up every last bit of summer. In fact, I’m writing this outside in the beautiful breeze! The humidity is gone today and I’m loving it. I’ve got some more pictures to snap of the 3rd floor re-do and will have that post ready next week. We are embarking on one last adventure before school starts that involves a LONG car trip. Will we survive each other?? And, what are you trying to squeeze in before school starts? It looks so clean and crisp!